Google AdSense Program article which I first wrote back in 2008, updated April 2014. 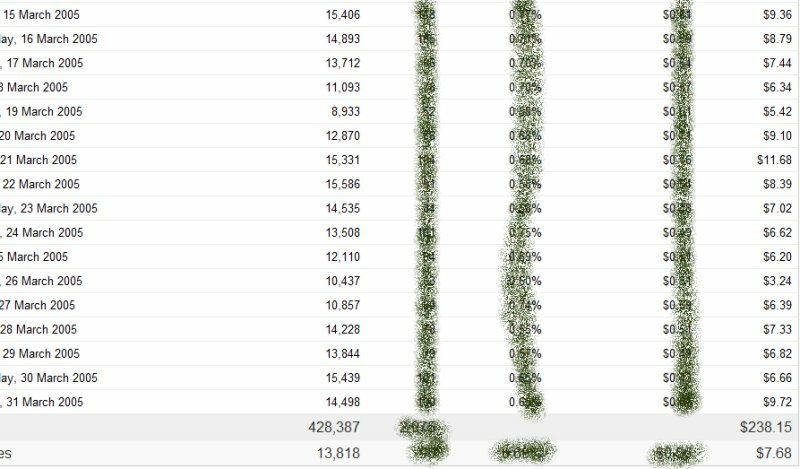 When I got into the AdSense program I didn’t think it was worth much of my time, which was a big mistake in hindsight! Signed up for the AdSense program in February 2002, according to the “Choose date range” search facility when choosing “All Time” it was the 22nd of February I was accepted and the 27th of February when I got my first ad impressions. It took until Tuesday, 30 March 2004 for my first day of making more than $1 (made $2.10 that day :-)). I’d not taken the AdSense program seriously as a money making opportunity and had added the AdSense ad code to a handful of not very important pages, had few impressions and rarely made over $1 a day. 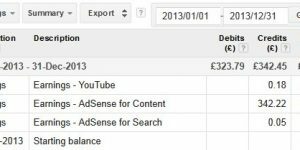 This confirmed what I thought I knew about the AdSense program, you can’t make money this way, that was until mid 2005. By April 2005 I’d added AdSense code to a lot of my Classic Literature site pages, but because I didn’t consider AdSense important I only added one small rectangle ad right at the bottom of the menu (that was the only ad unit I tried and it was below the fold) and didn’t add AdSense to other important websites: I’d already confirmed you can’t make money with AdSense after all. 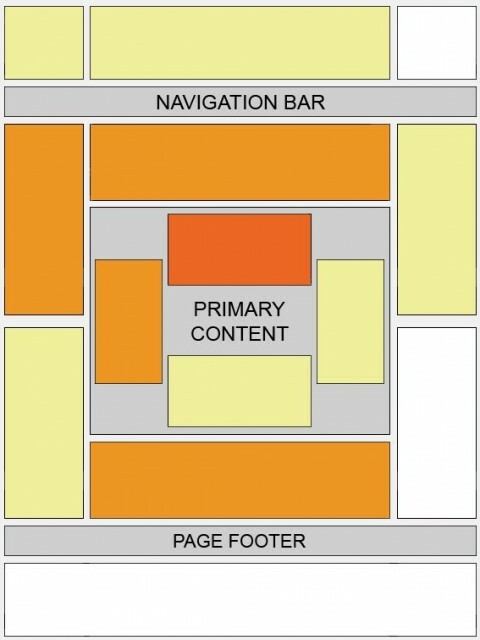 If you’ve done any research on AdSense you’ll have seen the click area AdSense heat map, image below. This heat map shows where website visitors tend to click the most, the hot areas are in red/orange and the cold in white. 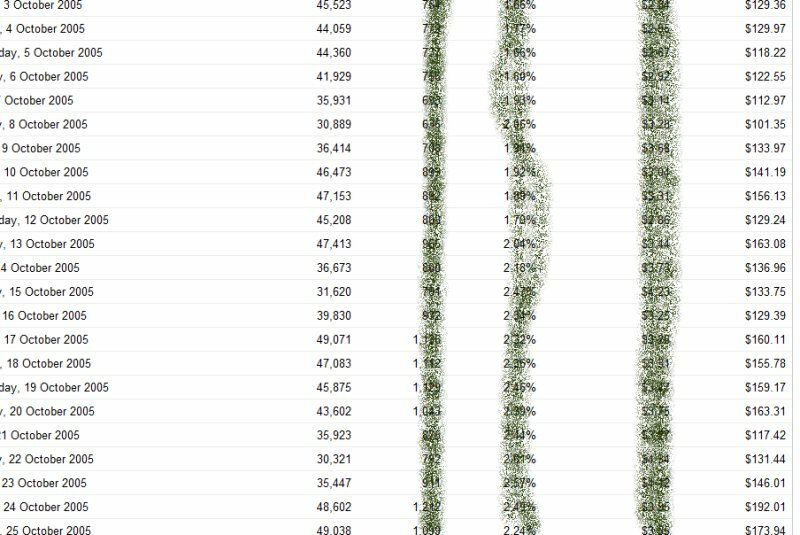 The image you see below is roughly where you’d find my only AdSense ad unit on sites that during March 2005 (1st to the 31st) were seeing ~14,000 impressions a day, but only made $7.68 a day from AdSense (that’s very low)! Classic literature isn’t exactly a high money content niche, but I wasn’t monetizing this traffic well at all. By believing AdSense wasn’t a good way to make money I’d shot myself in the foot, normally I do lots of research, but this one time I did NONE! This could have gone on for another year of lost AdSense revenue, but I started building thin Amazon affiliate stores and as their only goal was to make money from Amazon I decided to cover them in AdSense ads as well: if 3 content AdSense ad units per page is considered covered in ads that is :-). By luck (yep, no research again) I managed to add some of the ad units in the red/orange areas of the Adsense heat map and when my Amazon stores started pulling in thousands of visitors a day in their own right I got a very nice boost in AdSense revenue. You can see from the screenshot above, impressions roughly tripled, but revenue increased by about 20 times! Yes some of this traffic was better money making, but most of it was from Amazon stores on my literature sites, so it wasn’t like we are comparing classic literature traffic to mortgage or insurance traffic, (those are money making AdSense keywords) closer to comparing it to general Amazon book store traffic since Amazon does sell books (better, but not 20 times better!). 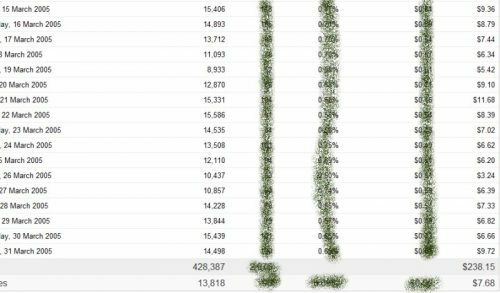 I’d stumbled on the fact that you can make some nice money from AdSense if you have a fair amount of traffic AND your ad units are placed in the right areas (see heat map for best AdSense ad placement areas). Knowing this I optimized AdSense ad placement for all my sites and maximized AdSense revenue for the traffic I received. Unfortunately as mentioned in other posts the traffic from the Amazon affiliate stores wasn’t to last and a year later I was below $50 a day. Still $50 a day while watching TV isn’t something to complain about, so quite happy with the AdSense income. I took it easy (working a few hours a day rather than the usual 10+) for about 9 months when I popped a disc in my back (see last post) and AdSense revenue dropped to under $40 a day. Didn’t help having a series of server disasters due low quality technical support at the places I rented dedicated servers from (see my dedicated server problems post for details). Have got an excellent dedicated server now and am back to my normal 10+hrs of work a day which is seeing my AdSense income recover. All in all it’s a nice way to make money with low maintenance in most cases, but by itself it’s never going to make me a millionaire. Even at $200 a day (which is possible) that’s only $73,000 a year. What I do know is when I build anything online I add AdSense to it and place the ads in optimized areas. I’ve been using AdSense for about 12 years now and it’s around 9 years since I realized there’s was money to be made with AdSense. In that time I’ve developed the best SEO WordPress package available and it includes built in support for AdSense including the newer AdSense Responsive units. No longer just about ad unit placement on a desktop PC, now we have to take into account the growing numbers of mobile device users: AdSense ads have to be responsive. Nice post, i just joined google adsense today and was very happy to read you post, it will help me very much. can you also help tell me where i can create something for people to be attracted to than amazon? hoping to read from you soonest. As we have exchanged ideas on this in the past it would be good to have a strong alternative to Adsense, just in case someone gets bumped from the program and does not get reinstated. I think you are lucky you did get reinstated. Your Stallion theme does offer good alternatives like Clickbank, but Adsense is so easy to plug and play and does pay reasonably well with patience that this still seems like the best way to make money online for most people starting out. Eshops of whatever sort can make a lot. I have seen people with eshops that have very modest traffic, at least according to Alexa, but seem to make a full time living off them. But that is a different business model. You are right Mark, there’s a lot more money to be made online selling products and services than trying to make money from AdSense and affiliate products. My first online business that was selling adult products made £80,000 in sales the first year, had I kept that business running and increased the traffic to the level I have across my network I’d be selling around £800,000 worth of products a year. Pretty easy to build traffic to online shops as well, especially if they have a lot of products. I don’t have any unique ones now, but have a small number of thin affiliate shops that I’ve not put any serious SEO time into (basically SEO tests) and most don’t rank well because of being downgraded (you know how Google hates thin content sites) yet in June they sold over $4,000 worth of products (would be $36,000 yearly): it’s around 10% affiliate share (so $400 for me). If these were unique product online shops I’d expect the traffic to be 10 times higher. I also have SEO clients with online shops and some have been with me over 5 years paying my SEO fees (most of my clients pay around £5,000 a year) because the organic search engine traffic is so lucrative. One of the things over this earnings period is missing is the expenses. Obviously, you have stated you have over 95 domains. Other times, you have stated you had over 100 domains. But, there must be some type of expense that is incurred for you not only to build, but also maintain them. That biggest expense presumably is getting sound backlinks. Reading many of your articles here, I honestly don’t understand how you are able to build the traffic or implement your backlinking strategy. 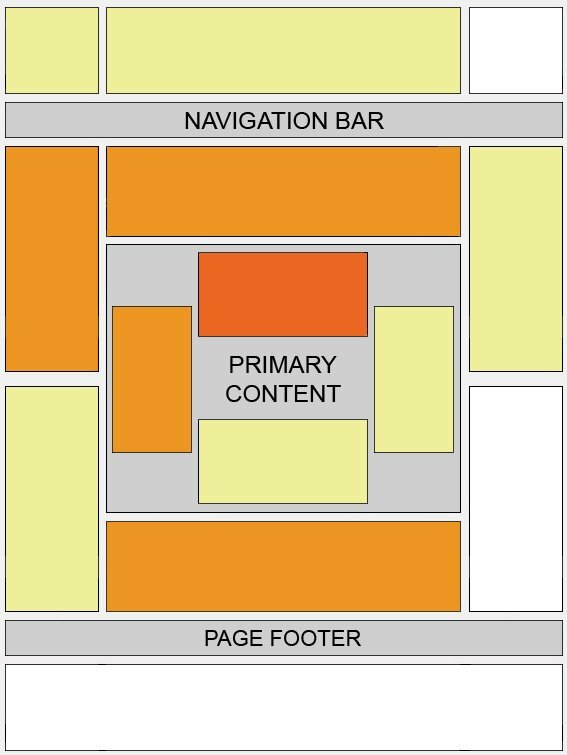 How are you able to do this successfully among all your sites and continue to grow them? What is your monthly costs for launching 1 site and “completing” a traffic and backlinking strategy? How long does it take for you to start & complete your full backlinking strategy? Good questions, my costs are relatively low. My domain numbers change as I add domains and allow domains to expire. Not counted them for a while, so been estimating: used to be over 100, but let quite a few expire so was guessing it had dropped below 100. Counted them and have 101 domains, 4 have nothing on them (not even redirected) and 1 isn’t mine: registered it for a homeless guy who is traveling around the UK coastline making pebble sculptures, search Google for “Dr. Geebers Pebble Art”. So I have exactly 100 domains. 100 domains registered, it’s about $0.75 per month per domain registration fees, so $75 a month. I’m renting two cheap Virtual Servers from Godaddy: used to use dedicated servers (not virtual), but after a dedicated server problem switch temporarily to the Godaddy virtual servers I have now and they worked fine, so stopped looking for a new dedicated server company. So about $130 a month (it was over $300 a month when I had a dedicated server). That’s it, I have no other regular costs. Total monthly costs around $215, but lets round up to ~$2.50 a month per domain. That means over 90% of my earnings are pure profit. This obviously doesn’t take into account costs for new PCs on a regular basis and Internet access, though I have a business (making money online is a hobby) so the business pays for that. I’ve been working on websites for about a decade and in that time have built resources people use and link to, so I rarely have to look for links now. I occasionally setup reciprocal links with friends, but not often. So I don’t specifically spend my time trying to find links, I build content people will link to so I don’t have to look for links. I don’t post on forums or anything like that regularly for links, I’ll occasionally have an interest in something and post to a forum, but will quickly get bored, so the number of links long term isn’t important. I spread link benefit through my entire network, so the sites that are difficult to obtain links for get links from sites that are much easier to obtain links for. Thanks for the follow up David. It helps to get some insight into how you are achieving such great success. It’s still confusing on traffic strategy though. Perfect example is with the WordPress SEO Theme site you mentioned. You stated this is one of your “newer” sites. However, right now, it’s already has a Page Rank of 3. Now, I don’t know how long ‘newer’ is -as in 2 months, 6 months, 1 year — but, from what you have showed, it’s a PR3 with only 1 post, and 5 outbound links, and about 1,019 Backlinks. 1. How long did it take to get from PR0 (ie: Launch) to the PR 3? A. Given that a PR”X” (in this case PR3) may not necessarily be directly correlated to revenue – the underlying question is, is this site generating revenue? 2. Based on your statement, having the other sites you built up over a decade, then is it safe to say that now you have the ability to create a brand new site (say tomorrow) and in X number of days have it ranked a PR2 or above given that you drive backlinks to it from your existing sites? 3. So, based on your statement, this means you don’t do any other bookmarking, submitting to directories, or posting or creating web 2.0 sites? 4. Even with this new site (WP SEo Themes one), you stated spreading links throughout your network. How exactly do you do this? And how long does it take? A. If you have 100 domains in your network, does this mean you are spending the whole day going from each site & creating a link manually yourself? (Meaning no outsource or staff). I’m trying to get an understanding of what it really takes to achieve the same results as a single owner without having to use & train outsourcers or get other assistance. 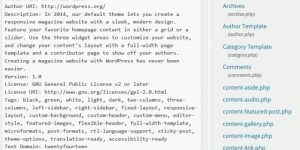 I mean, today, people don’t have to worry about “creating a wordpress site”, it’s simply add theme & add content. But I feel the biggest issue is having a specific and results oriented traffic strategy. The ones I’ve been reading and learning about is all about “wait at least 2 months to see real results. Very depressing to achieve for example 100 sites in 2 months, and suddenly you have no results to show for it ya know? I registered the a domain (Domain Z) in January 2011, same time I registered this domain for a theme launch (wasn’t sure which domain to use, so registered multiple domains: didn’t use this one at first). Decided on a domain for the launch and started using it in February and did nothing with the other domains including Domain Z (reminds me should 301 redirect them). In early May installed WordPress to Domain Z and added one post, as I’ve been maintaining relevant sites (have a fair number of sites about WordPress SEO) I’ve added backlinks. Basically as I maintain my network of sites I’ll add links, I might be upgrading WordPress or approving moderated comments and spend a few minutes adding a few links to other sites in the network, so it doesn’t take long. The Domain Z site has probably taken 20 minutes to add those links because it wasn’t link building per se. 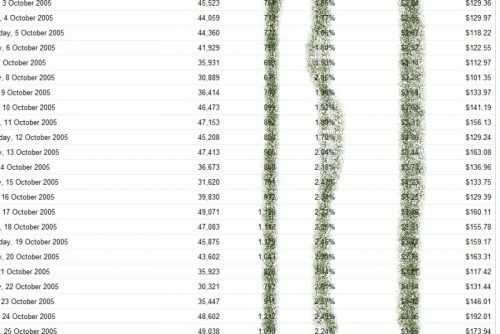 Although the home page is PR3 (would have had enough links for that by mid May) it takes about a year for a new backlink to pass full link benefit, so I’m not expecting great rankings for a year basically. What I tend to do is get an idea for a site (I don’t really plan them, remember this is more a hobby than a business : I don’t NEED a large network of sites for my core SEO business). Register a domain, add a little content (can be one page), add some links from my network and forget about it for at least 6 months while the links age. If I don’t forget all about the domain and still think it’s a good idea and I have the time I’ll add content and see what happens, some domains I’ve got are PR3+ with barely anything on them. I know it is subjective as you own this tool, but anyway I also know that you are very honest. What a disappointing article which has two purposes. 2) Badly executed link bait. Only have one link to another domain on this article, to my literature site. Barely link to any of my other sites from this domain. 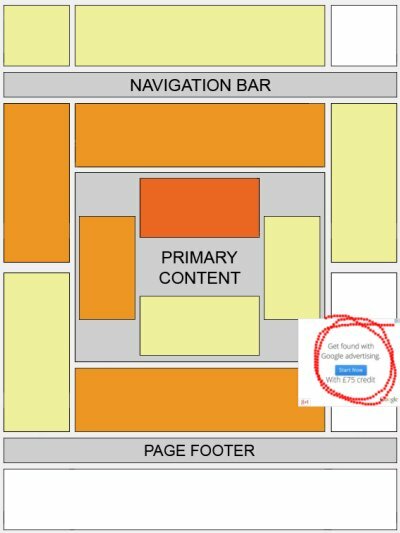 How is the AdSense heatmap not a useful AdSense tip? And how putting your ads in the wrong place means no money? How are these not make money with AdSense tips? What exactly did you expect to learn about?? ?